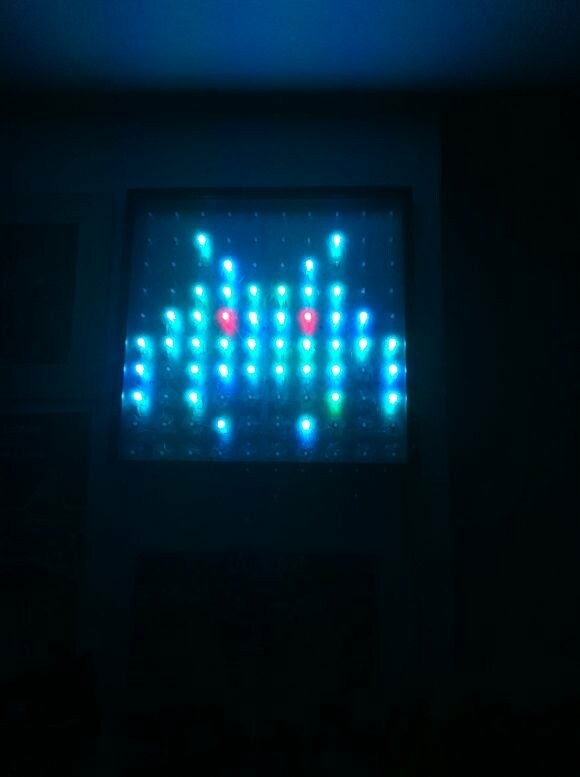 This is just a small update for the RGB LED matrix project. I could finally manage to mount the frame on the wall and to run some small tests. I'm still working on the java GUI for easy LED manipulation, but I'm quite busy with my bachelor thesis. Maybe I'll finish this project after i'll have handed in my thesis. The frame misses also the separators between the LEDs and a diffuse glass front.